Blogger allows you to upload your own videos via the Blogger Post Editor. It also allows you to embed YouTube videos into your posts(by copy pasting the YouTube embed code into your post editor). Now Blogger has made this process even more simpler by providing a better interface for adding YouTube videos. 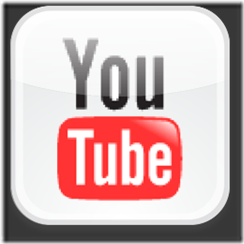 This YouTube integration is available only in the updated Post Editor. So if you are still using the old editor, it’s a good time for an upgrade. Now you should see the video in your post Editor. You can continue editing the post using the WYSIWYG Editor and publish it. If you are trying to embed your own YouTube videos(The ones uploaded to YouTube by you), then you can use the “My YouTube videos” Tab. Sharing a video from YouTube. YouTube has got a Blogger Share Button which will enable you to quickly post the video onto your blog.This might be very useful when you suddenly stumble upon some interesting video and want to post it onto your blog. If you have multiple blogs, select the appropriate one from the Popup Post Editor and you can quickly publish the video to your blog. Hello aneesh, i am an user of the template blogertube for which you have designed the recent videos widget. But you have not coded any similar videos or related videos for the same. Yeah, very informative to everyone. Thanks for the article. Nice catch! I will check it out. Thanks for the update, Aneesh! I have been searching for recent videos widget for bloggertube template, Can you please tell me where is it and send me the link. I post the video from youtube but I want to the thumbnail is get from the video, how can I do this? Pls help me. There REALLY needs to be a simple video size button included. The default 320 size was okay for the year 2000 but now it should be at least 480. Manually adjusting every youtube video's HTML is a pain. Simple straightforward and more robust features need to be implemented. Embedding widgets and more functionality needs to be easier as well. As a long time wordpresser trying out blogger I'm surprised that the service is so far behind on simple details.